The term safe and supportive schools has been sprinkled across our headlines and news feeds, but is it another buzzword or here to stay? The term is much more than reactive legislation and strategies in response to school tragedies. The idea of wanting equity, safety, and support in schools is not new, nor should it be anything less than a priority across classrooms, schools, and districts. 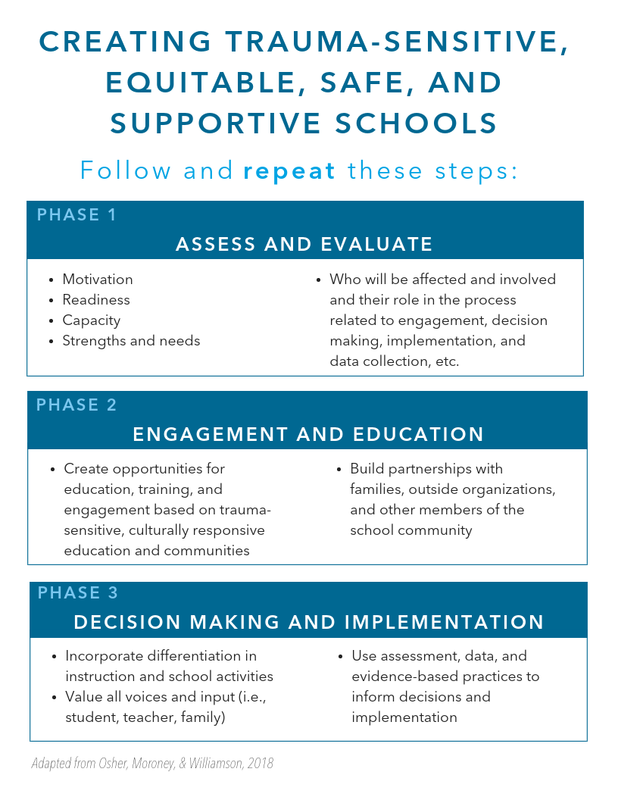 In this white paper, you will learn how trauma-informed and sensitive practices are the foundation for equitable, safe, and supportive schools and learning environments. You also will discover easy-to-implement next steps and tips for planning for the future. Co-published with AIR and Dr. David Osher, who is an advisor for Move This World. Dr. Osher’s research around creating equitable, safe and supportive learning environments for all has been integral to Move This World’s curriculum, development, and standards-based alignment. Recently, Dr. Osher co-authored, “Creating Safe, Equitable, Engaging Schools: A Comprehensive, Evidence-Based Approach to Supporting Students.” The book is a comprehensive, easy-to-read overview of implementation stages and strategies for your school or district. Transform your school or district as an equitable, safe, and supportive learning environment for all. Find out how to create sustainable change using trauma-informed and culturally sensitive practices. Discover practical phases for implementation and access ready-to-use resources. Move This World's social emotional learning program provides PreK-12 educators and students with video tools to strengthen their social and emotional well being in order to create healthy environments where effective teaching and learning can occur. Through evidence-based, developmentally appropriate videos that open and close the school day, Move This World ritualizes a daily practice of identifying, expressing and managing emotions.